Mark Jones began his Aikido training in 1970 at Napa Valley College under the direction of Dr. William Morris. Since that time, he has studied with many teachers in the Bay Area and in Japan with Saito Sensei and Sugawara Sensei. Mark founded Aikido of Napa in 1983. Aikido of Napa is affiliated with the Aikikai Hombu Dojo in Tokyo, Japan. Mark holds the rank of rokudan, 6th degree black belt, in Aikido and has studied various other martial arts, including Katori Shinto Ryu, Karate, Judo and Tai Chi. Mark has spent the last 11 years in the computer business and currently is a freelance web developer. 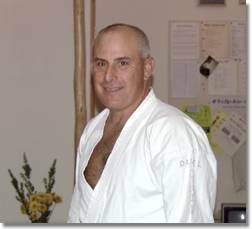 Daniel Baron began studying Aikido in 1984 at Aikido of Napa, and holds the rank of san-dan (3rd degree black belt). He has trained in dojos all over the United States, as well as Japan and France. Daniel is the winemaker at Silver Oak Cellars in Oakville. He has three children and has coached children in both soccer and T-ball for over 9 years. He has taught the children's class since 1994. 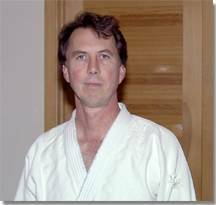 Bill McNamara started Aikido in 1985 at Aikido of Napa. Bill received his shodan in 1990 in Japan from Sugawara Sensei. Bill now holds the rank of san-dan. He also studies Katori Shinto Ryu along with his profession as a Horticulturist and director for a private botanical garden in Glen Ellen, CA. Bill teaches various classes at the dojo and is also responsible for the design of the dojo garden. 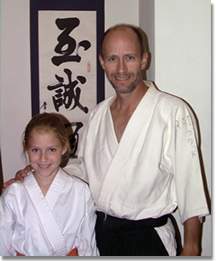 Brad Shurmantine, with daughter Kara at right, began practicing Aikido in 1978 with David O'Neill at Aikidokai International in San Francisco. 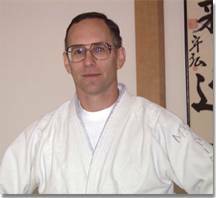 He has studied with many prominent Bay Area teachers, including Frank Doran at the old Turk Street dojo in San Francisco and Jack Wada at Aikido of San Jose, and holds the rank of san-dan. He currently teaches the Napa Valley College Aikido class and helps out here with the kids' class, in which his two daughters are enrolled. Brad is an English teacher at Vintage High school here in Napa.